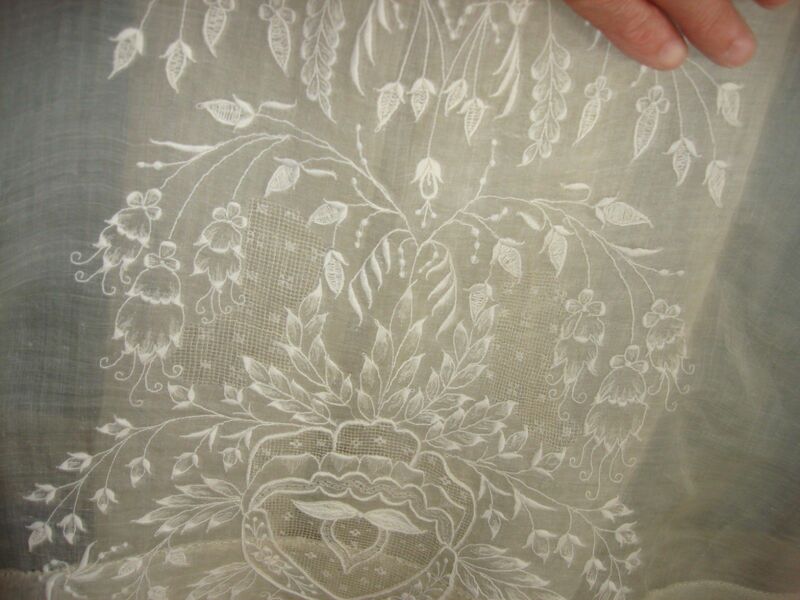 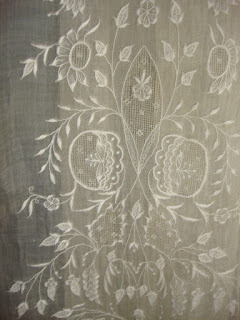 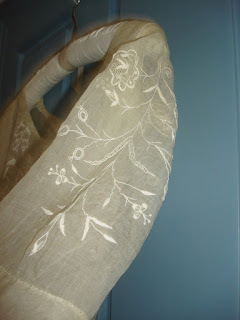 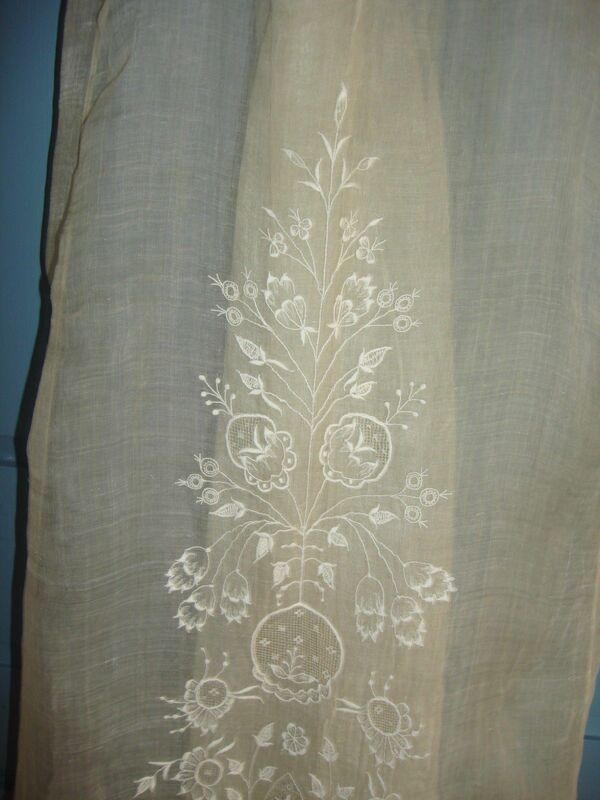 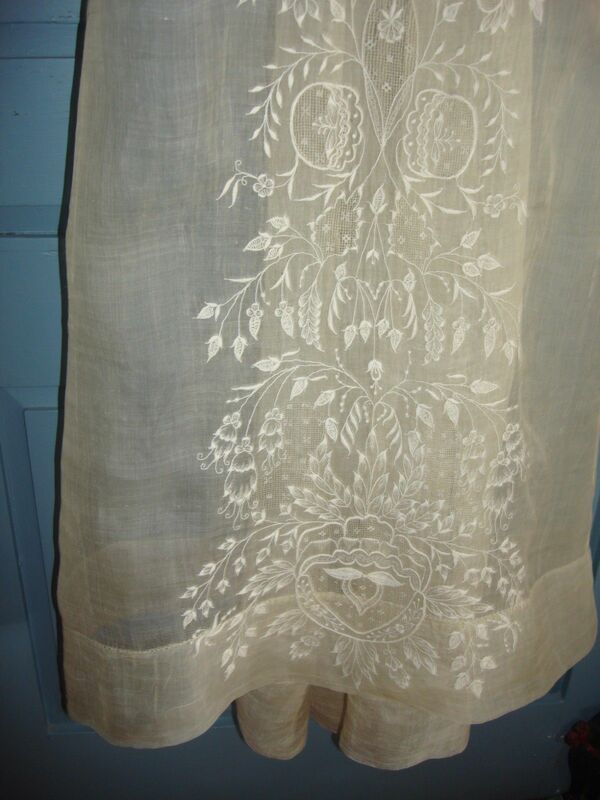 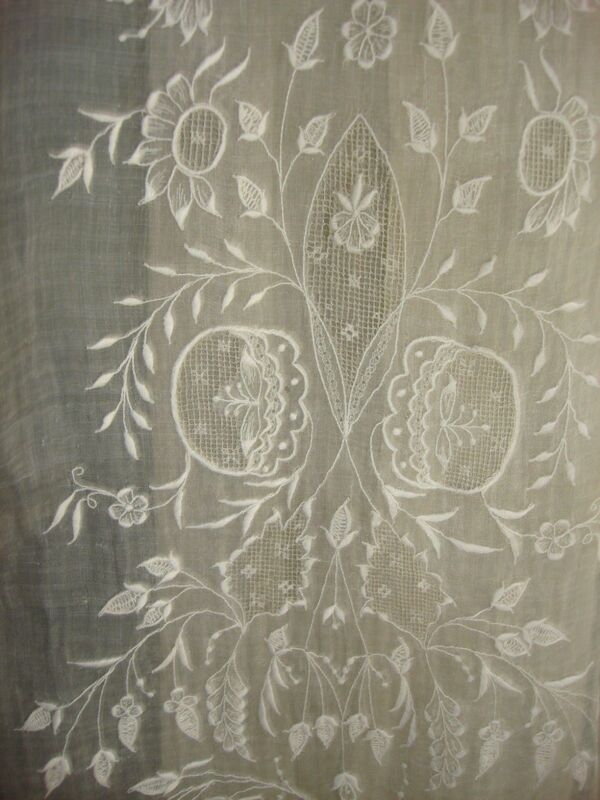 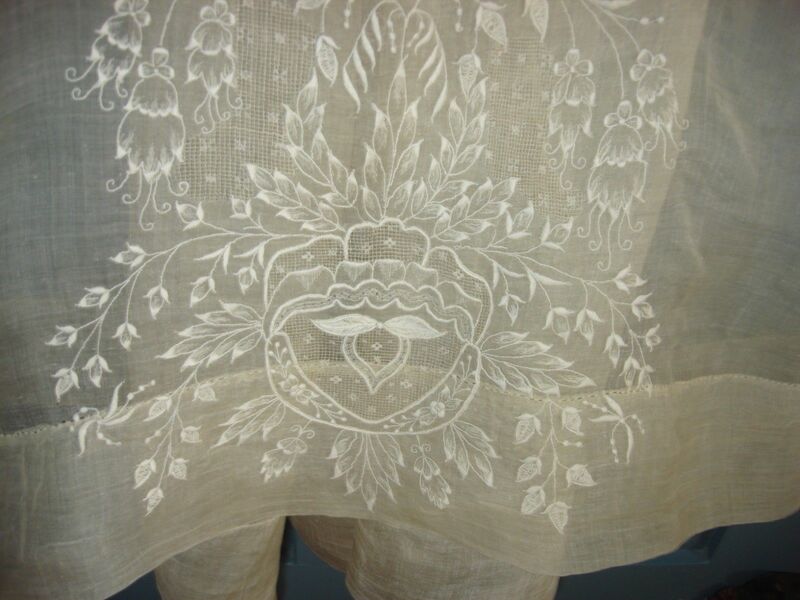 The beautiful embroidery has a wonderful early design. 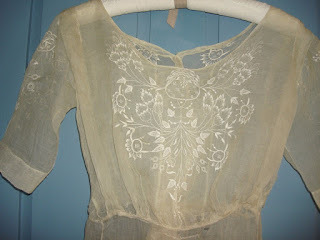 The dress is embroidered down the front, on the sleeves, and on the back of the bodice. 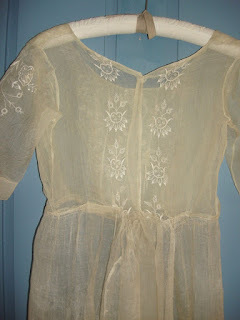 The dress is high waisted, and opens down the back. 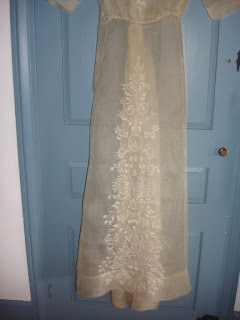 It measures 54" long in front and 60" long in back. 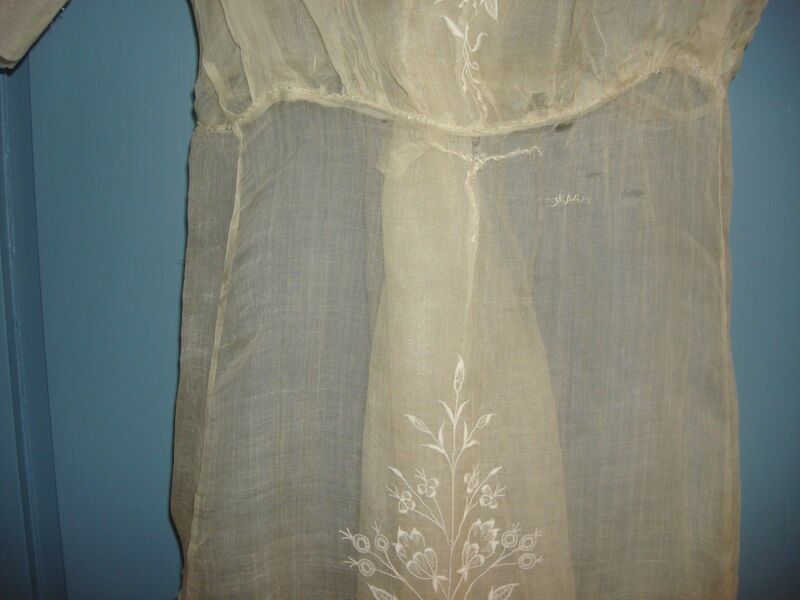 The waist measures 31". Condition is good in general. 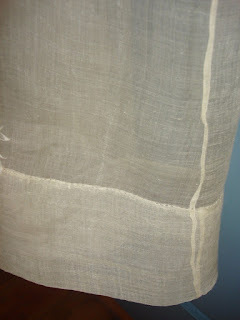 There are repairs and a few wear holes. 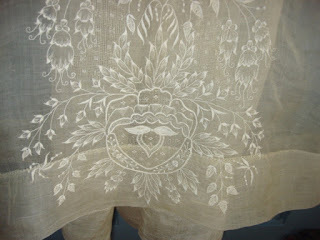 I have photographed the top front of the skirt which is the most worn. There is no closure, I expect it had ties. There has been some repair in the waist area, reattaching the skirt in places. This lovely early dress was found recently here in Maine. 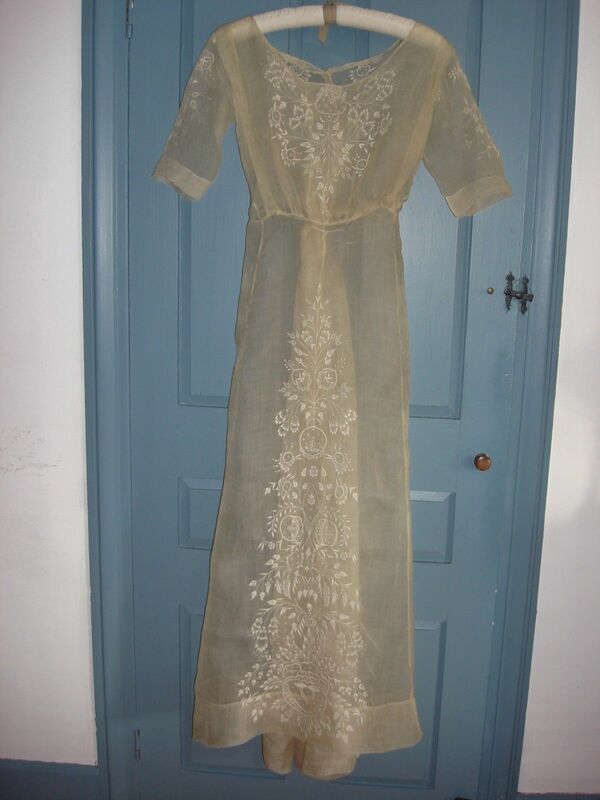 The seller is about 90 years off. The bodice, with the slight pigeon front, is very much late Edwardian/early Teen's Era. 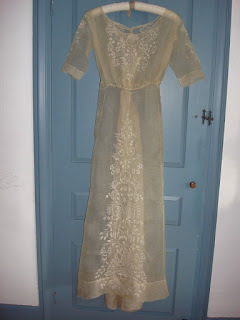 There is a similar styled dress at the V&A.